Is there nothing better for you than the taste of fresh filter coffee or tea? But don’t enjoy replacing the filter paper? Then the paperless So Pure Fresh Brew is ideal for you. 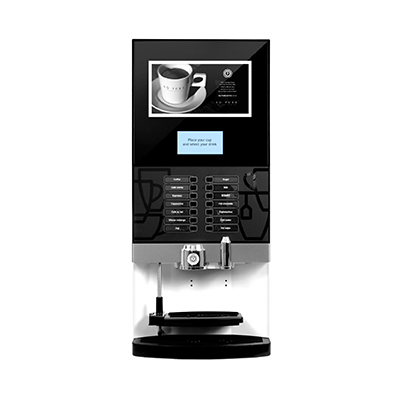 Fitted with the original Zuma paperless brewer unit: absolutely reliable, low maintenance and a permanent guarantee of high quality, delicious filter coffee or tea. Moreover, those who love a tasty fresh cup of tea will be no less satisfied. All types of coffee and tea are set fresh. This is on the basis of personal choice and desired strength. The quantity of sugar and milk can also be adjusted per cup. From design through to manufacture we are committed to creating the perfect product for your business, and when coffee is your business you shouldn’t settle for anything less than pure brewing perfection.